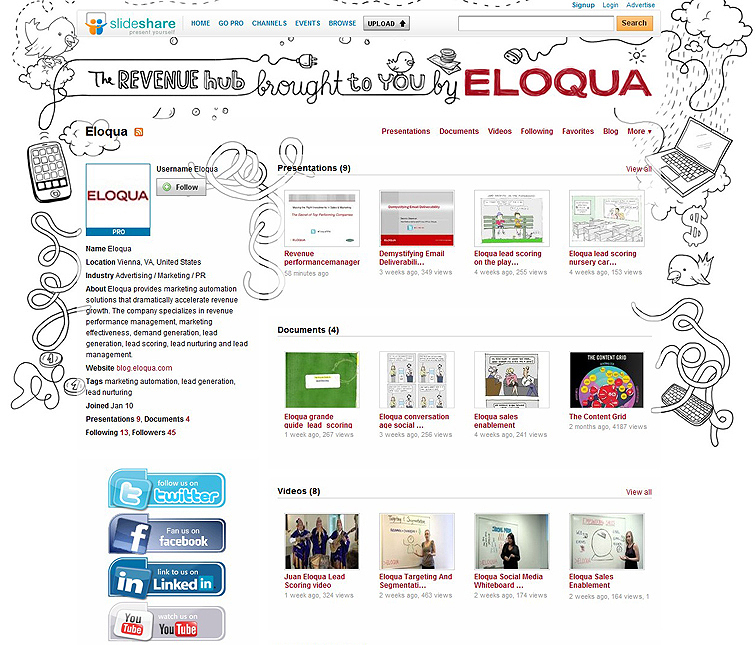 While continuing to share "our love":http://slideshare.net/jess3 of SlideShare far and wide, we worked with Eloqua to provide them with a custom design for their SlideShare Pro page, aptly named the "Revenue Hub":http://www.slideshare.net/eloqua page. To compliment the unique look of their SlideShare profile (originally inspired by the work we did for our joint "Social Media Playbook":https://jess3.com/social-media-playbook-and-training/ project), we also designed their "Twitter skin":http://twitter.com/Eloqua. 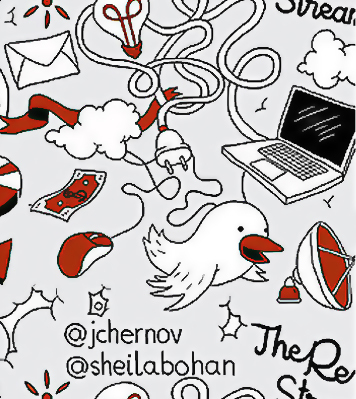 On Twitter, we extended the hand-drawn concepts and visual metaphors around the concept of revenue (which is directly related to their Revenue Performance Management "RPM" product), while also braiding in the idea that Twitter -- like revenue -- is often called a "stream." And thus, the "Revenue Stream":http://twitter.com/Eloqua was born.